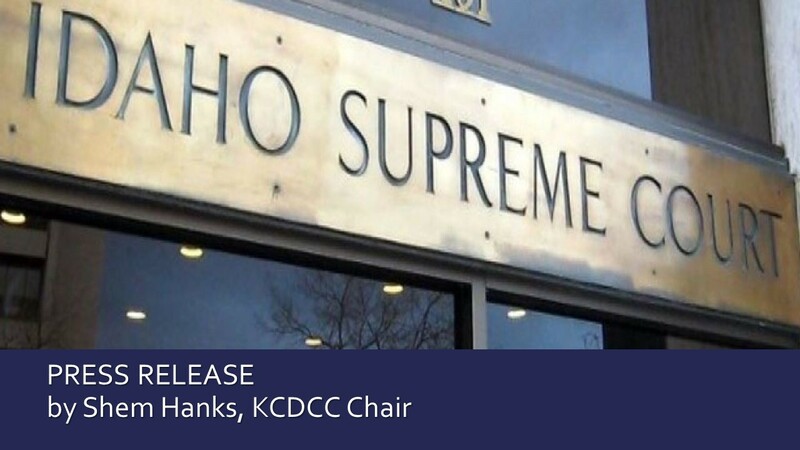 Coeur d’Alene, Idaho – February 11th, 2019 – The Kootenai County Democratic Central Committee (KCDCC) is pleased with the Idaho Supreme Court’s decision to rule that Medicaid Expansion in Idaho is constitutional. We, the KCDCC, have passed multiple resolutions urging for the support and implementation of Medicaid Expansion. We were highly disappointed that the dark money group, the Idaho Freedom Foundation, would shamelessly waste taxpayer money on opposing the will of nearly 61% of Idaho voters, and the majority of Kootenai County voters, in the form of a frivolous lawsuit. Furthermore, we call on the 105 members of the Idaho State Legislature to honor the will of the people and implement Medicaid Expansion as written with no red tape and no sideboards.